Hello mate64, please see my screenshot. Change the "Extend:" setting on the Context toolbar to something other than "Repeat" & it should be fine. I dont see extend stings where it should be? 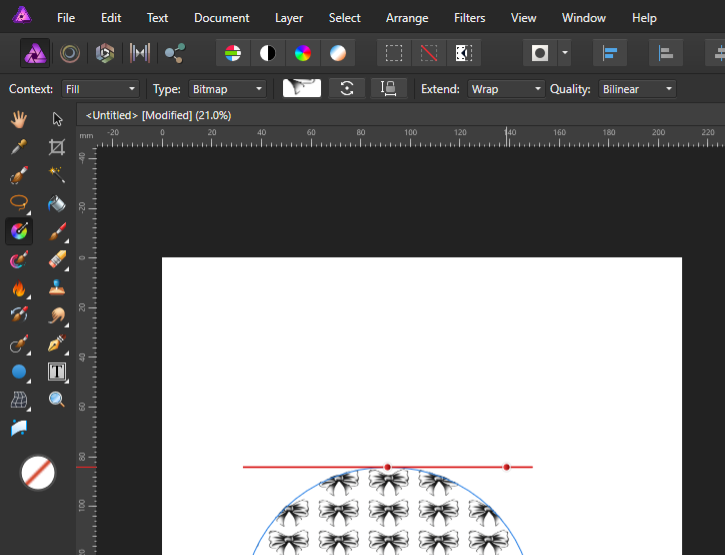 Select the shape, take the "Fill" tool and "Extend" is displayed in the context bar. @dutchshader, thanks for the screen in English, moreover I just noticed with this screenshot that the question concerned AP, fortunately that the operation is the same as in AD in this case. I dont have this option... Did i have wrong version of AP? Have you selected the gradient tool? 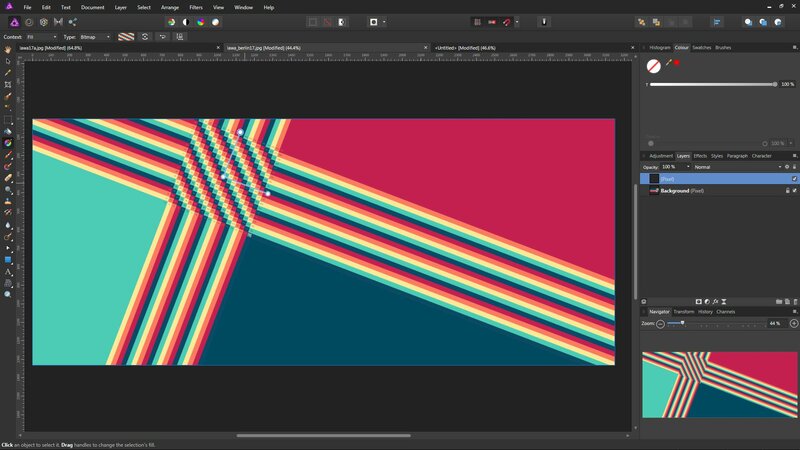 Can you give us a screenshot of your complete Affinity Photo window, with the gradient tool selected? Considering the screenshot you posted you must have it. To make it visible in the context bar, select the shape and then take the "Fill" tool. Go to View > Show Context Toolbar, there should be a tick/check mark at the side of it, if there isn't click on it, then select the Gradient tool and you should see a toolbar just above the workspace and below the main menu. The OP's screenshot in this post above shows the correct tool selected & the Context toolbar, but I suspect the layer with the bitmap fill was not selected when the screenshot was made, thus the "Type: None" showing in the toolbar. Apparently you just "Place" the bitmap in the document. You have to make it a style to get the options you need. 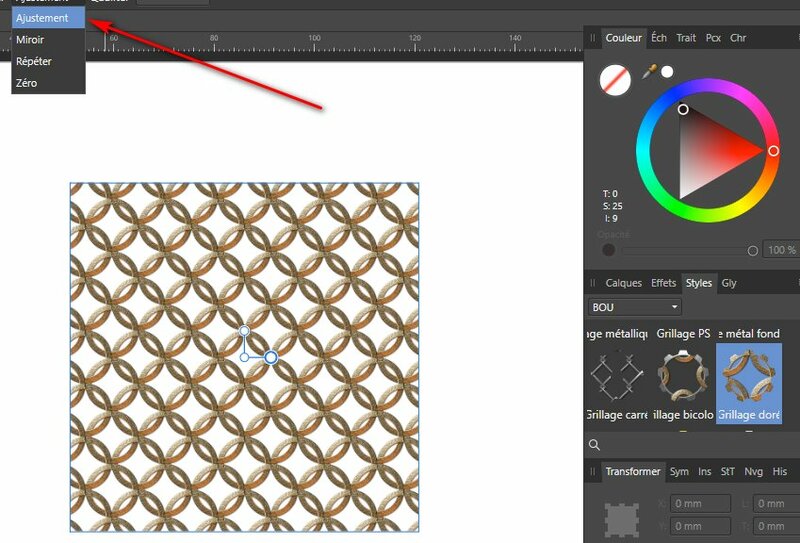 Select the bitmap on your page, right-click it and choose "Convert to Curves". Right-click again and choose "Create a style". 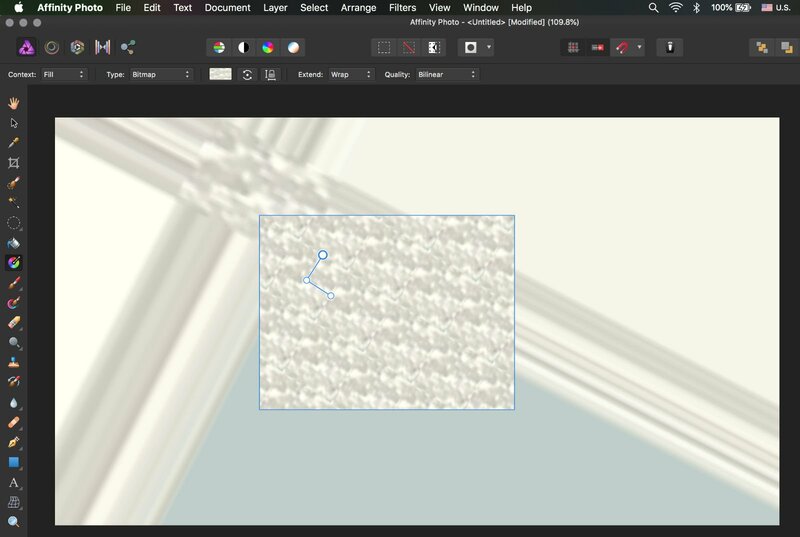 Select the form to fill with your bitmap, go to the "Style" tab of the studio, search for the style you just created and click on it, it will apply to the form and the options you were missing will be available. 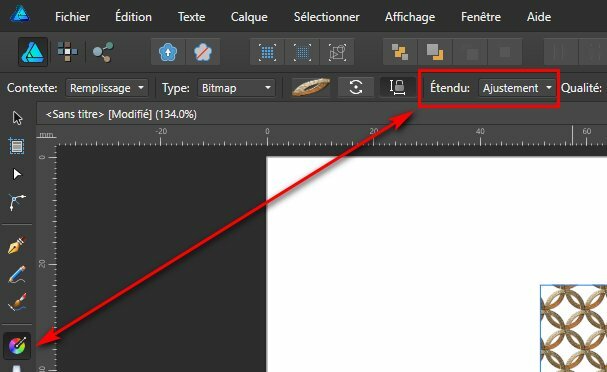 The Extend control is absent when applying a "bitmap fill" to a Pixel layer. Apply the "bitmap fill" to a vector object (for example, a Rectangle) instead and the Extend control will be available. 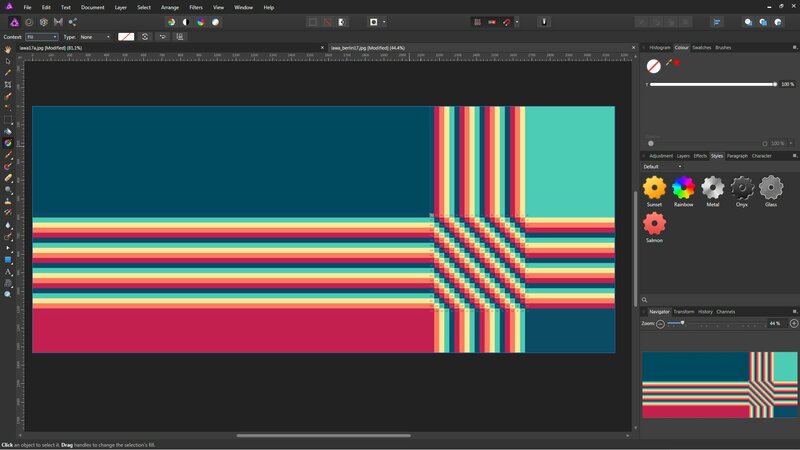 Unless I am missing something, there is still something weird about that screenshot: it shows that the bitmap fill has indeed been applied to the top "(Pixel)" layer -- you can see it in the context toolbar -- but it is not showing up in that layer's thumbnail in the Layers panel. Maybe it is different for the Windows version, but in the Mac one the Layers panel thumbnail always updates to show the fill as soon as the bitmap fill is applied. Looks similar to the delayed thumbnail updates of the 1.7 betas for macOS. I think it would be best if you gave us the version of Affinity Photo and also uploaded the file for us to look at. 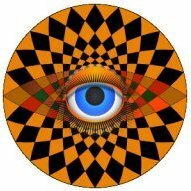 I would like to say thanks to >|< for solving the issue for me. I don't understand why it behaves this way, but it is infuriating! The Extend option doesn't show unless in a vector object. I'm attaching a screenshot hoping it might help someone.